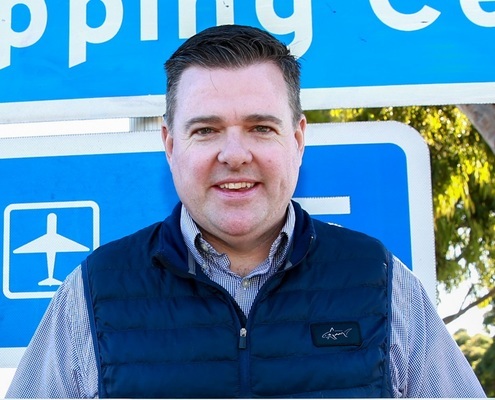 UPGRADES: Geelong councillor Anthony Aitken. Geelong’s west is set for millions of dollars in new sports facilities after councillors this week released draft master plans to upgrade two reserves. But council warned it would have to find more money to complete the upgrades of West Oval and Herne Hill Reserve, which have insufficient existing budget allocations of $100,000 and $500,000. West Oval is set for the biggest upgrade after a joint G21 and AFL Barwon strategy identified it as a preferred host of regional finals and other events such as TAC Cup and AFLW matches. The oval’s heritage-listed Flowers Family Stand would be “retained and protected” but receive “internal improvements”, council said. New facilities would include a two-storey club and community building, a new entrance from Weddel Rd and enhanced spectator seatings. City Hall would need funding from both higher levels of government as well as sports clubs to complete the “significant” upgrade, council said. More than 1050 club members use the oval, including members of Geelong West Giants footballers and netballers and the suburb’s cricket team. “This plan would bring the venue’s change facilities up to standard for women’s sport, which is important given the growing female participation rates at the tenant clubs and across the region,” councillor Anthony Aitken said. Herne Hill’s master plan would bring the reserve and its facilities “into line with modern standards”, council said. The proposed upgrades included refurbishment of the reserve’s pavilion with six “gender-neutral change facilities” to help cater for female players. Council’s allocated $500,000 was for stage one’s removal of decrepit buildings, courtside facilities and a cricket net storage. “However, at this stage council has not committed further funds to the implementation of the master plan,” City Hall said. Both higher levels of government and the reserve’s tenant clubs would have to help find the rest of the funding. Council said St Joseph’s Football and Netball and St Peter’s Cricket clubs had a combined total of 937 active members but the reserve was “also a valued open space for the broader community”. “If implemented, this master plan would address functional issues and encourage community use of the reserve,” said acting mayor Peter Murrihy. Both plans are available for public comment on council’s website.